Join us for the final Longhouse of 2018 – a sneak peek at five works-in-progress by Asian Australian artists. We’re so thrilled by the line-up of new playwriting, dance, performance poetry and music, we’ve extended the event to a 90 minute showcase, followed by networking drinks. RYUICHI FUJIMURA – Fall! Falter!! Dance!!! 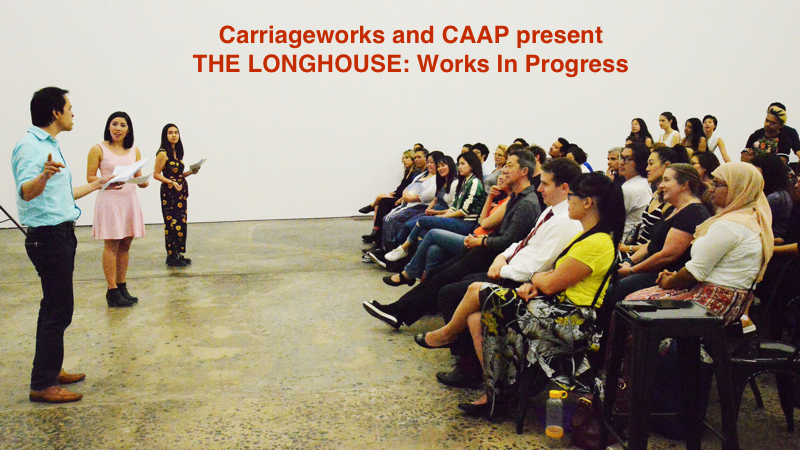 CAAP’s Longhouse is a networking and information sharing program that has been building a solid and thriving Asian Australian performance community in NSW since 2015. 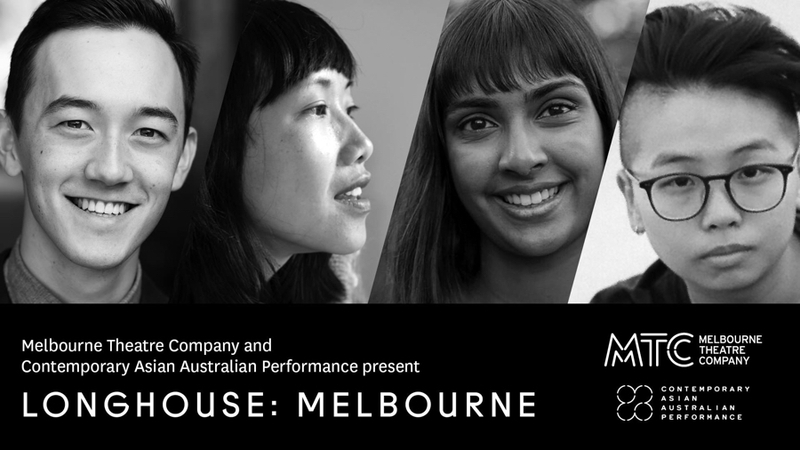 Now CAAP invites you to attend Melbourne’s first Longhouse to be hosted by MTC. 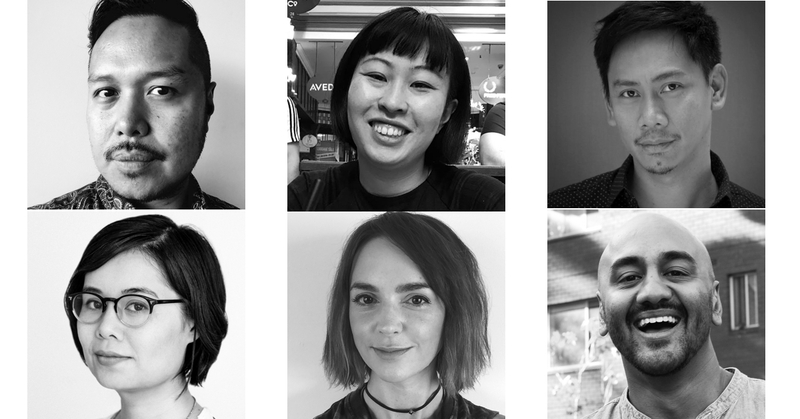 We are thrilled to announce four of Melbourne’s most progressive and dynamic storytellers will be joining us to share their experiences within the industry in VIC and take part in a conversation about the current state of diversity and representation on our stages and screens. The panel discussion, including audio of questions and comments from the audience, will be live-streamed on CAAP’s Facebook page. One hour panel discussion followed by networking and nibbles. The Longhouse welcomes all artists and arts workers interested in contemporary Asian Australian performance. In response to the vibrant conversation at Longhouse: The Gathering back in April, LONGHOUSE: 666 offers you a chance to meet one-to-one with highly respected artists from stage and screen, for a 6 minute Speed Date. This is the first step in towards CAAP’s Mentoring program for Asian Australians in the performing arts. 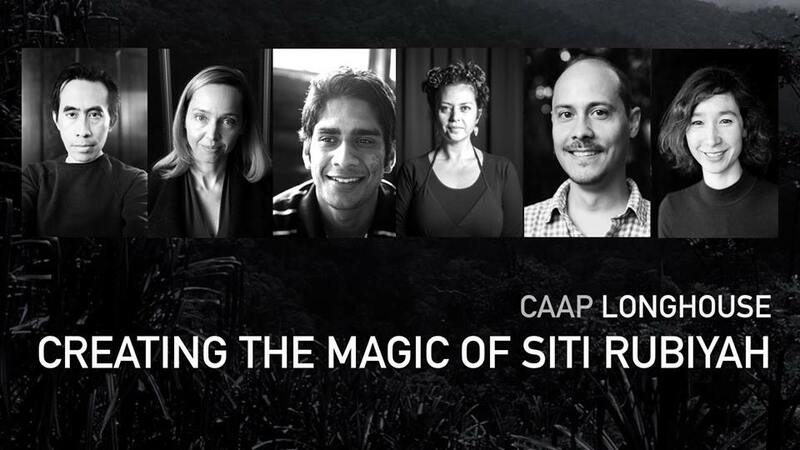 Join us in The Longhouse for a sneak peek at the artistic processes behind CAAP’s exciting new work in development, Siti Rubiyah by Katrina Irawati Graham. Siti Rubiyah was a minor character in the 1975 Indonesian novel, Harimau Harimau, by Mochtar Lubis, abandoned to a horrifying fate at the hands of her abusive witchdoctor husband, deep in the jungles of Sumatra. This play travels into the jungle to imagine what might have happened next. The story unfolds like an allegorical fable for contemporary times drawing on Indonesian mythology and symbolism, magic realism and horror. Meet the creative team, including writer Katrina Irawati Graham, director Tessa Leong, set and lighting designer Govin Ruben, movement director Danielle Micich, media artist Bambang N Karim and sound designer Michael Toisuta, as they discuss the challenge of theatricalising the horror and magic of this fantastic story. Siti Rubiyah is part of the Carriageworks In Development program. 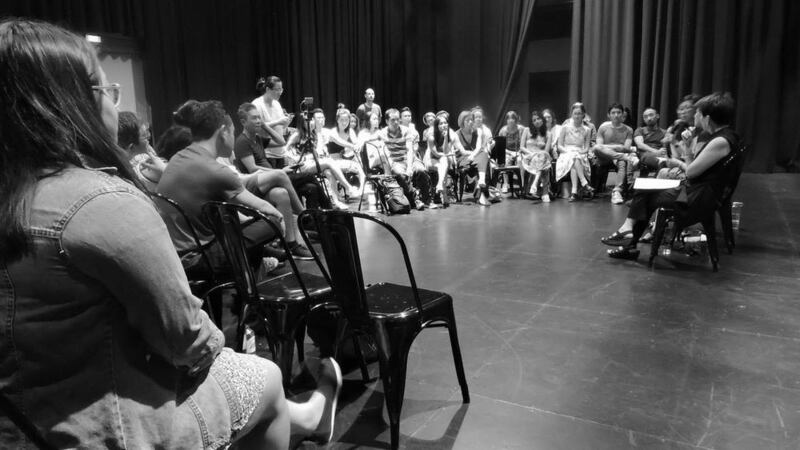 The play was developed through the LOTUS Playwriting Project, an initiative of CAAP and Playwriting Australia supported by the Girgensohn Foundation. What does Asian Australian performance need right now? For our first Longhouse of 2018, we handed the mic to our Asian-Australian performance community at an open forum at Sydney's Carriageworks. 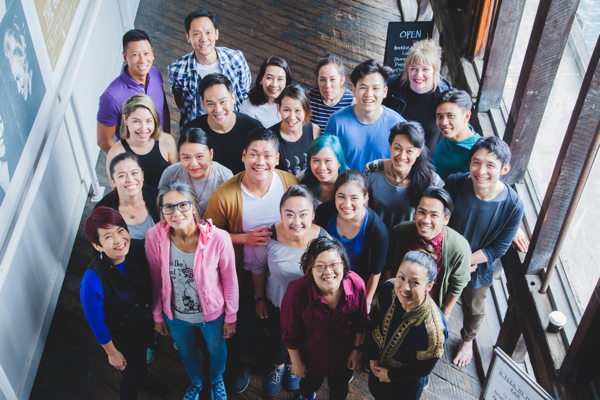 Host Jennifer Wong, guest speaker Cheryle Yin-Lo (artistic director Sydney Asian Theatre Festival 1994-1999) and CAAP's Executive Producer Annette Shun Wah, took a look at what came before, and ways to continue the momentum for Asian-Australian performance in 2018 and beyond. For the first time, we have recorded a podcast on the night for you to catch up on or revisit! Open Forum - What's next for Asian Australian Performance? It's also not too late to fill out our survey to add your thoughts, we would love to hear from you! You can also stay in touch with us by subscribing to our newsletter to keep up-to-date with the latest opportunities with CAAP. The Longhouse is CAAP's Networking and information sharing program. It's a space in which we share, learn and build a resilient Asian Australian performance community. In 2018 there will be four Longhouse events at Carriageworks. The first Longhouse of the year takes place on 12 April. After an exceptional year for Asian Australian performance in 2017, how do we maintain the momentum? Join The Gathering - an Open Forum in which we discuss, debate and dream - and tell us how YOU would like to see Asian Australian performance progress. Guest speaker Cheryle Yin-Lo was artistic director of the Sydney Asian Theatre Festival in the mid-1990s. She'll compare the arts landscape then and now. CAAP Executive Producer Annette Shun Wah will outline the gains made in 2017. The event will be facilitated by comedian Jennifer Wong.